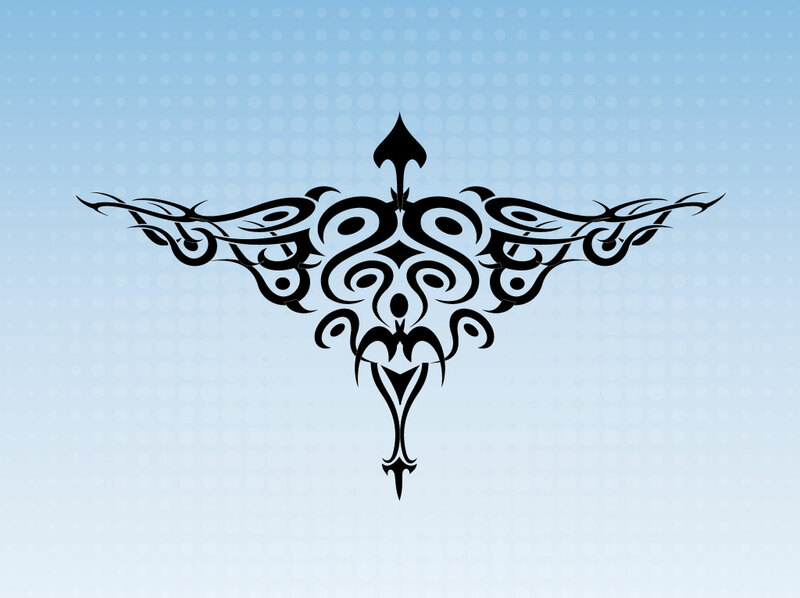 Cool tattoo bird vector design. Abstract tribal design in a tattoo inspired style that resembles a bird. This cool free Illustrator download is creative and made up of flames shapes, arrows, circles and bat-like graphics. Black artwork set on a blue gradient background with a fading halftone dot design. Tags: Condor, Creative, Eagle, Feathers, Hawk, Ink, Strength, Strong, Wings.